In London, 40% of online shoppers send their purchase to their work address, to avoid missing a delivery at home. This means a lot of extra vans in the capital, with 28% of vehicles on the road during the morning peak being delivery vehicles, impacting on air quality, availability of kerb space, pedestrian comfort and congestion. This is especially important around Edgware Road and Marble Arch, which are on the Transport for London Road Network and form part of London’s inner ring road. Campaigns across the capital are encouraging people to consider using consolidated delivery services, to reduce the number of vehicles entering central London. For the Edgware Road and Marble Arch area there are a variety of services available, listed and mapped in our handy how-to guide. With Christmas on the horizon and Black Friday looming, we road tested seven personal delivery alternatives, all either on or walkable from Edgware Road. Each alternative falls within a delivery consolidation framework, where suppliers arrange to reduce the number of vehicles entering an area by designating a single collection point. The seven chosen for review were selected based on nearby collection points and the scale or number of retailers they serve or products they sell. Orders were each made online between 27 and 31 October, ranging in price from £5.99 to £89. 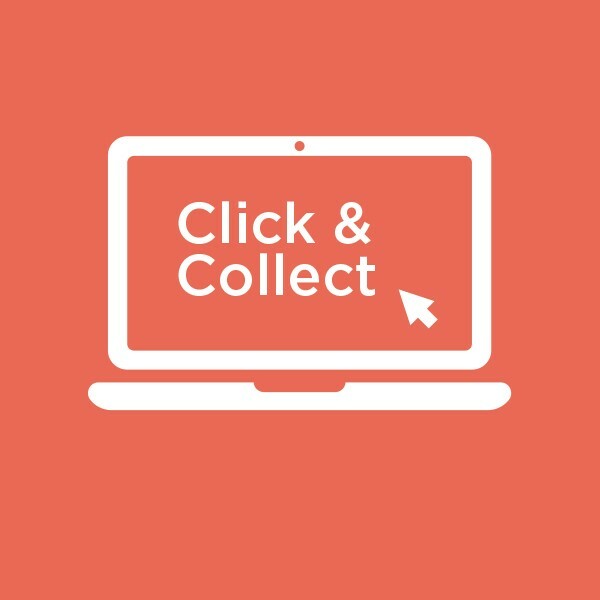 Collect+, Parcelly and Amazon Click and Collect have multiple collection locations within and near Marble Arch and Edgware Road. Using a wide network of local shops, convenience stores and newsagents, all three delivery services make it easy to find a location close to your place of work. Doddle’s kiosk at Paddington Station got the big thumbs up from us. Their quality of service was exceptional. With dedicated staff waiting to help you retrieve your parcel, pick up was quick and efficient. The whole process took under three minutes from arrival to parcel pick up. The icing on the cake? They ‘de-bulked’ our parcel, removing the cardboard packaging and recycling it for us. 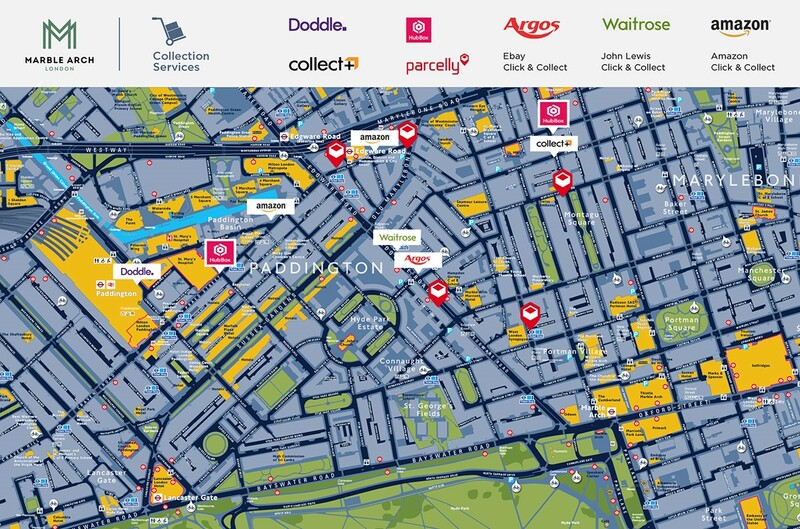 Collect+ is great value considering the range of collection locations you have access to and the number of retail partners. The service tends to be free if you meet a minimum spend (this will vary depending on your chosen retailer). The service was quick and efficient, making it great value for money. We opted for the Post Office on Praed Street to collect our Amazon package, and sensibly avoided lunchtime to visit. They denied having our parcel twice, despite us showing the confirmation email and text from Amazon. They said they’d been on strike the previous day, so we would not have been notified of our parcel’s arrival the day it arrived… not great if you need your parcel in a hurry. We had to sign a paper ledger to acknowledge collection (when they eventually found it). From arrival to finish, the whole process took 18 minutes, compared to every other service clocking in under three minutes. Would we use these services again? Yes, absolutely. Although, in future we will probably avoid the Post Office… sorry Royal Mail. Download our practical local guide.